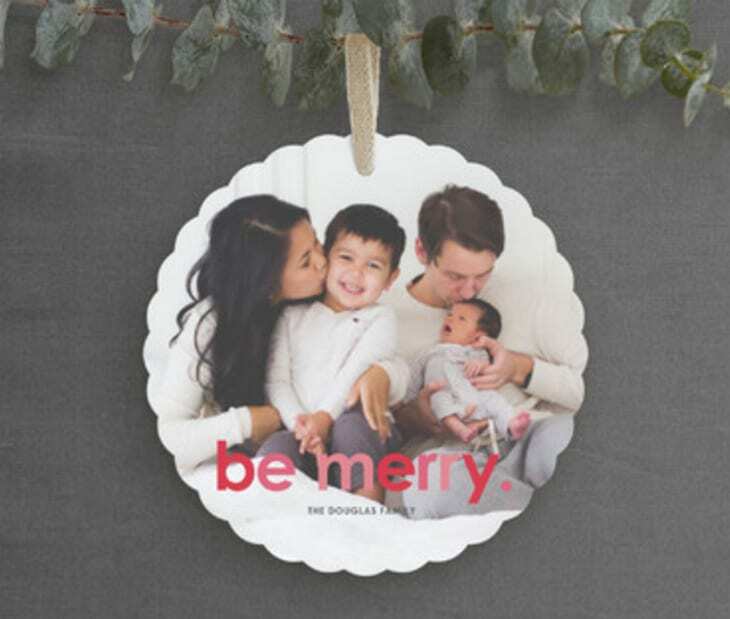 This post has been sponsored by Minted. As always, all opinions are my own. 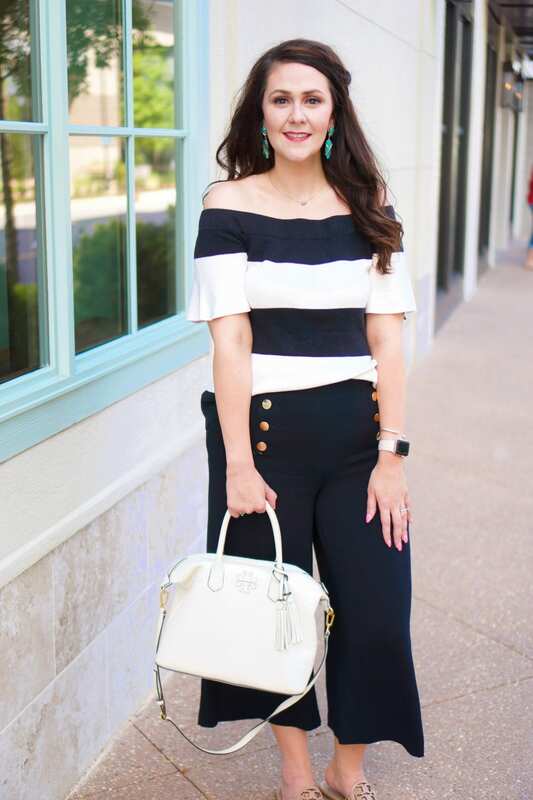 Show of hands–who else (besides me) is very last minute on everything they do? Yep, I thought I wasn’t the only one. 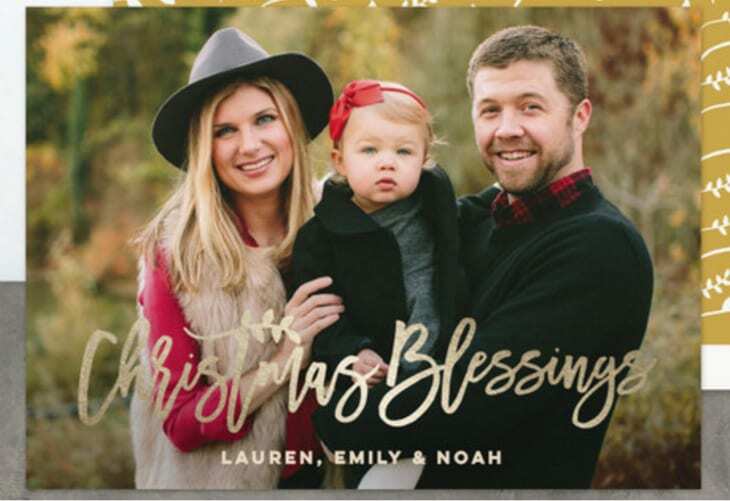 Something that I am always last minute on is Christmas cards. Never fails. 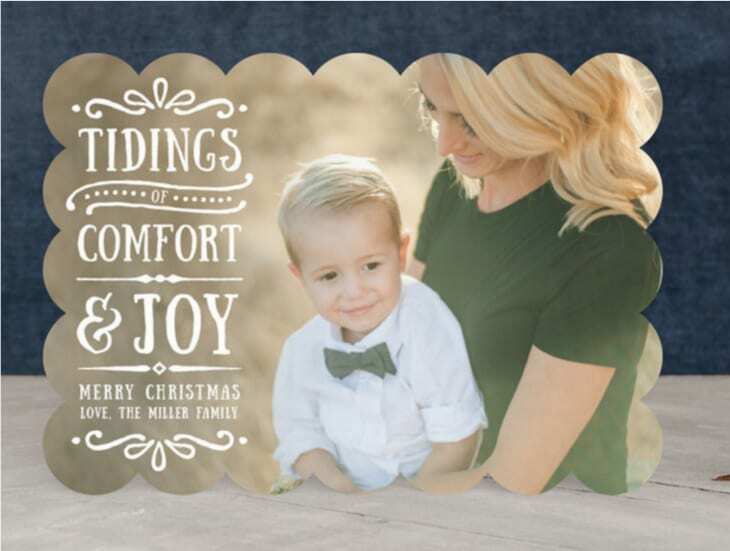 So I was relieved to know that I can order my holiday cards (without proof) from Minted right now and received them ASAP. 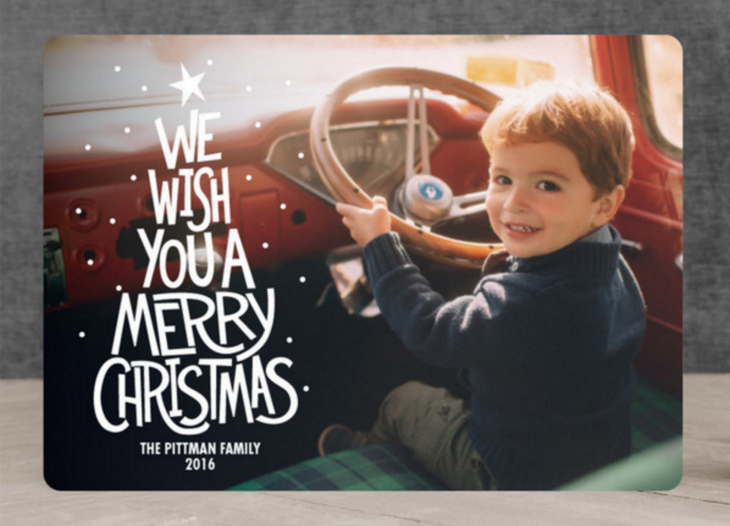 In fact, for those who procrastinate even better than I do, you can order your holiday cards as late as December 17 with rush shipping and still receive them by December 20! You can actually estimate your delivery date based on what product you’re ordering using this link here. 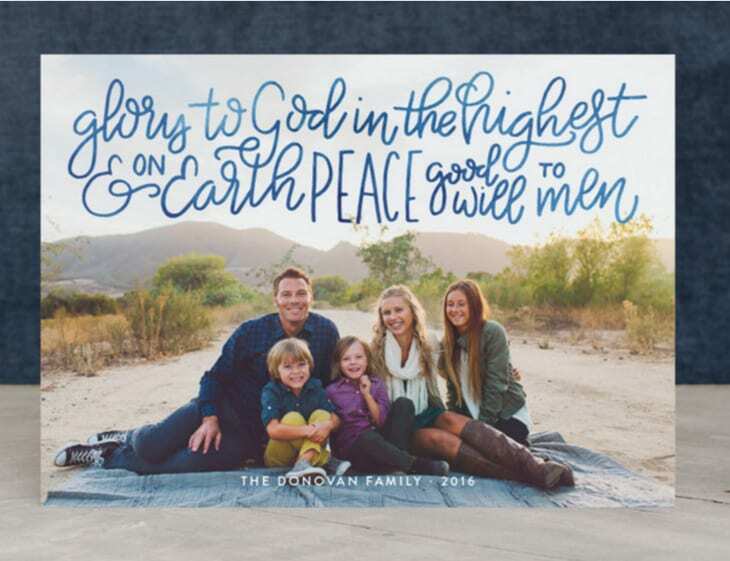 For example, I’m ordering my Minted Christmas cards today. Since there’s a FREE upgrade to priority shipping, my estimated delivery date is December 15, which gives me plenty of time to get my cards in the mail and on their way! 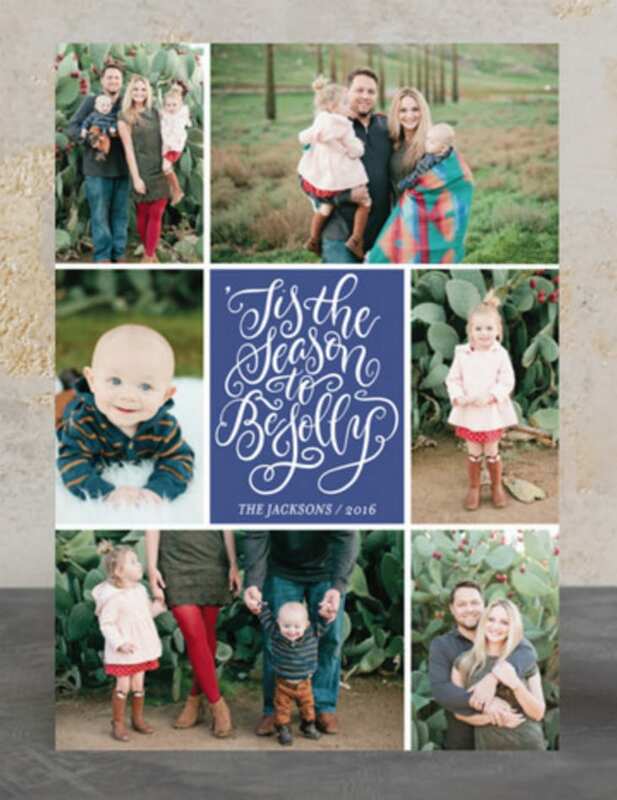 Minted has some gorgeous cards out this year, so I thought I would share some of my favorites with you if you’re rushing to get Christmas Cards too! 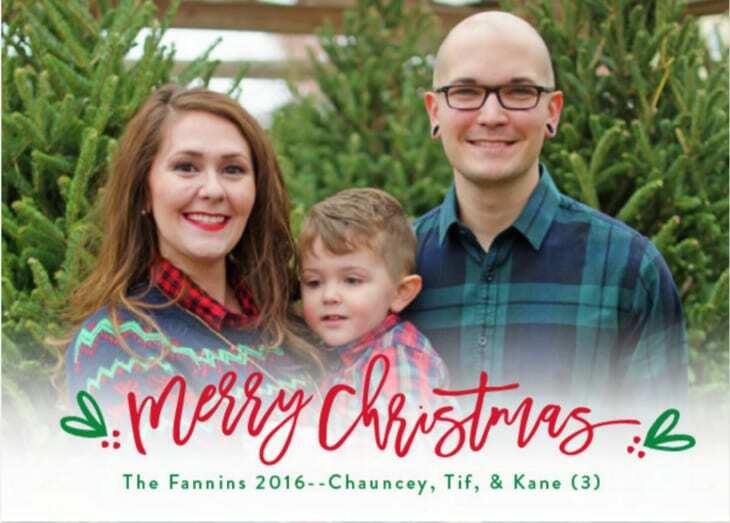 Check them out below, or click here for the card we went with this year! The cards are highly customizable. 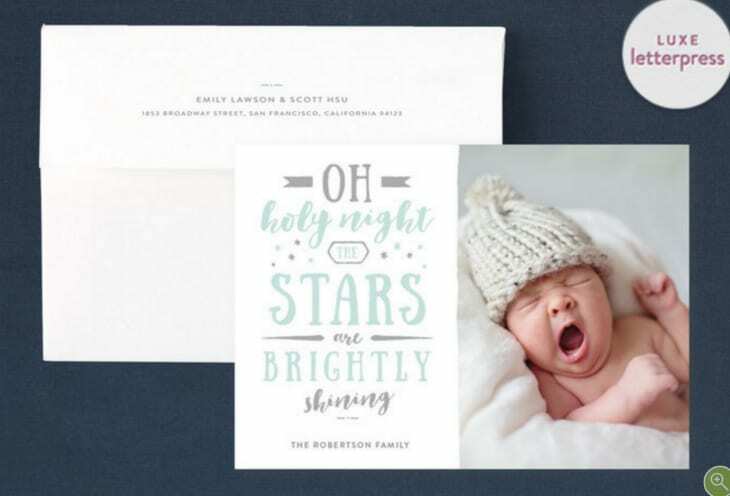 First, for each card design, you can select from four greetings based on whether you want holiday, Christmas, New Years, or Religious Christmas, so the cards fit a variety of needs. Second, you can then add a personal message on the front. I like to use this to include our names, Kane’s age, and the year. 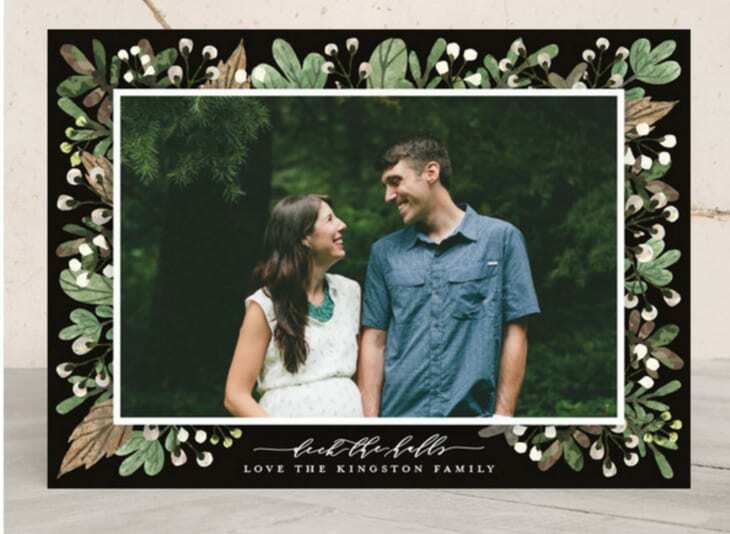 For the back of the card, you can leave it plain, do a picture collage, or do a family update even. You can also customize the card shape, the inside of the envelope, etc. Please be aware that some options can add additional processing time to your order, so be sure to look at any notes. And finally, Minted will even do the recipient addressing of your cards FOR FREE!!! 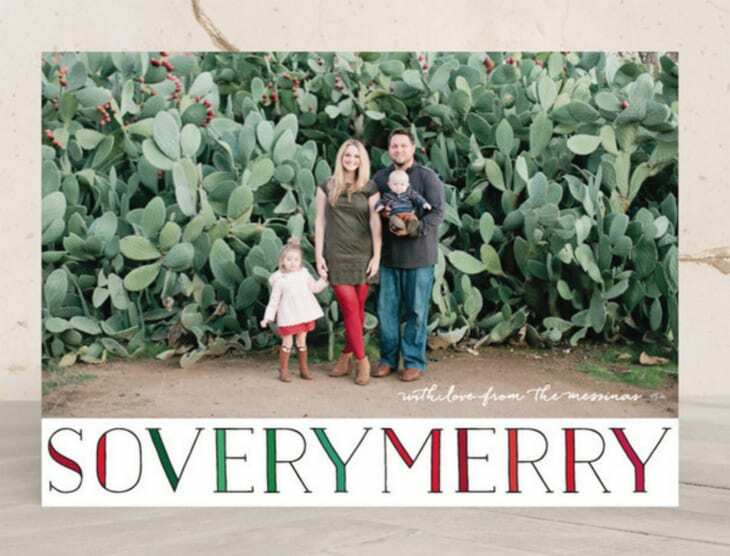 If you’re a new Minted customer, like I am, you can currently save 20% off your holiday cards purchase with code NCJOY. 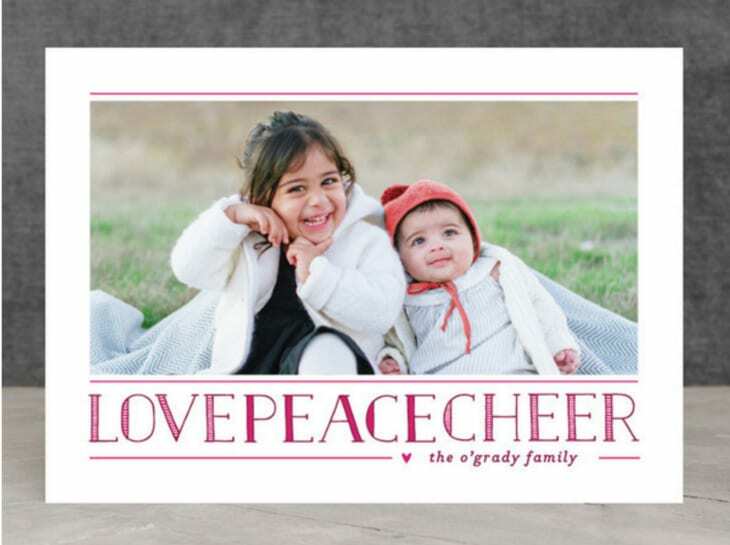 If not, you can enjoy up to 15% off holiday cards with code SENDCARDS. This offer expires 12/12.